Learning Materials "ATANARJUAT THE FAST RUNNER"
Interviewed by Nancy Wachowich | professor at the University of Aberdeen, Scotland. Sadly, Paul Apak died in December 1998, before the film was completed. This interview was recorded on the afternoon of 16 April, 1997 at the Isuma building in Igloolik, when I was conducting fieldwork for my PhD in Cultural Anthropology at the University of British Columbia. 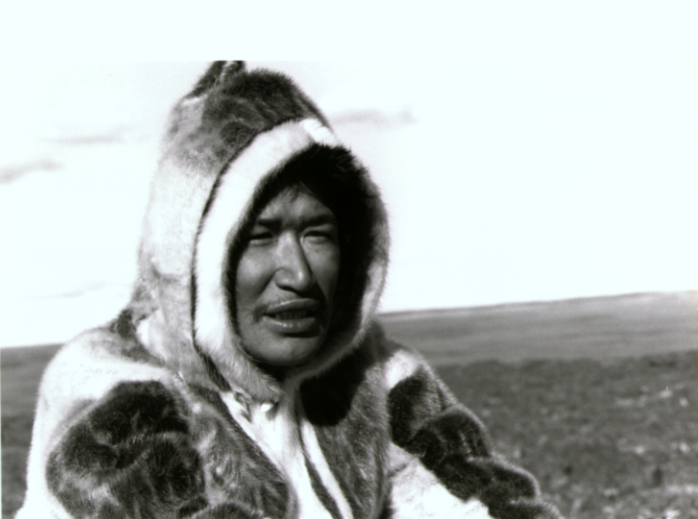 My research was concerned with the Inuit effort to preserve traditions. Apak and I had just spent almost an hour and a half that morning having coffee and discussing his twenty-year career as a videographer in Igloolik. Though my reason for dropping by was to arrange an afternoon taped interview, we began speaking candidly about Apak's use of film to address cultural agendas in Igloolik. Among other things, he reflected on the capacity of this medium to regenerate Inuit land skills, language and cultural traditions. PA: There are a number of differences between what we are doing and other movies that have been produced regarding our Inuit culture. 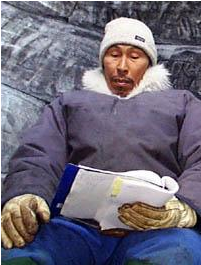 This movie will be based on an Inuit legend, and also it is all going to be in Inuktitut. And also, all of the actors will have to be Inuk. No Japanese.